Beginning in 2016, most U.S. hospitals will receive less money from Medicare due to the number of patients who return within 30 days of discharge. Newly released data from the Centers for Medicare and Medicaid Services (CMS) reveals only 799 out of more than 3,400 hospitals subject to the Hospital Readmissions Reduction Program faced no penalty. Created under the Affordable Care Act, the readmissions program evaluated how often patients treated for things like pneumonia, heart attack and heart failure had to return to the hospital for readmission within 30 days of discharge. If a hospital had a readmission rate that was too high, its Medicare payments were docked 1 percent in fiscal 2013 and 2 percent in fiscal 2014. Now, for fiscal year 2015, facilities will see a 3 percent penalty and also will be evaluated for readmissions within the 30-day window for chronic obstructive pulmonary disease and total hip and knee replacements. 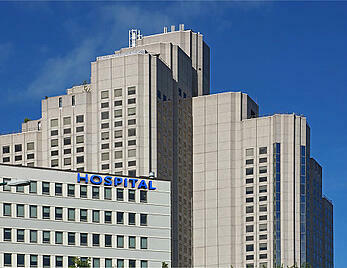 The penalties total close to $420 million for about 2,665 hospitals nationwide. Though two additional conditions have been added to the list, the penalties will apply to all Medicare patients admitted for any condition, noted the Dispatch. Researchers found the more of these strategies hospitals implemented, the lower the risk-standardized 30-day readmission rates they had. Similar strategies can be employed to help reduce readmissions regardless of the condition. Research suggests a patient needs assessment, medication reconciliation, patient education, scheduling timely follow-up appointments and providing follow-up by phone all play an important role in reducing readmission rates.